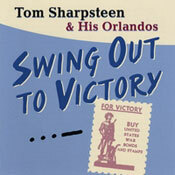 This song is featured in the current Woody Allen film "Whatever Works". Clicking on the photo to the right pops open the Internet Movie Database page where you can view the trailer. You can hear the band playing the song from around 1:37 until the end of the trailer. 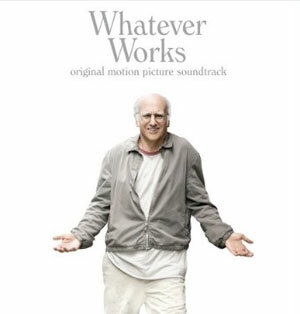 The band is also on the "Whatever Works" Original Motion Picture Soundtrack. Info for this soundtrack can be found on Clint Baker's discography page. 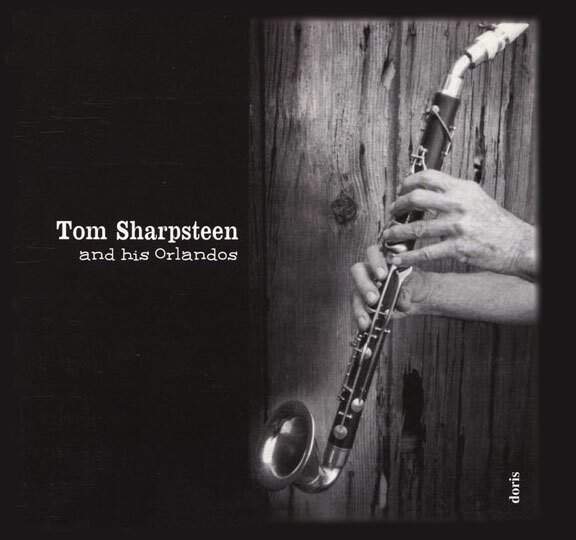 Tom Sharpsteen considers New Orleans jazz to be an approach to playing music, rather then a rigid code to be followed with a fundamentalist's zeal. New Orleans jazz is one of the most wonderfully adaptive styles of music in the world; everything from blues to grand opera can be given the New Orleans treatment, with consistently good results. All of the great pioneers from Louis Armstrong to Zue Robertson understood this, and they made music in the same way as Tom and His Orlandos. Tom was introduced to this concept when he visited New Orleans in 1950. 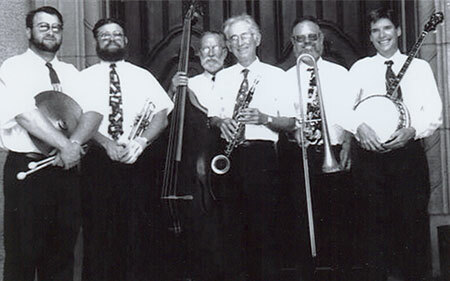 The Crescent City still contained many of the jazz originators at that time, including clarinetists Emile Barnes and Alphonse Picou, who, along with George Lewis are the main influences of Tom's clarinet style. Picou held forth at the Paddock Lounge, where he gave nightly performances of his famous chorus on "High Society" while George was beginning his run at the El Morocco. 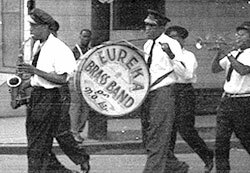 In addition to seeing his clarinet heroes, Tom followed the Eureka brass band at a funeral, and also saw Peter Bocage at Luthjens, the legendary dance hall that had been "Big Eye" Louis Nelson's place of employment until his death a few months earlier. to New Orleans in 1950. Click on any of the photos below to see a live performance video. Like all traditional music, New Orleans jazz requires regular injections of innovation to keep it alive. That's no paradox, because the freedom within it has to be used to keep it fresh. If, in the course of refining it a sound is created unlike anything else in the tradition, that only proves the musicians' fondness for the tradition. Tom and the Orlandos couldn't exist without the examples set by the founding fathers (and grandfathers); neither could they be mistaken for anyone else. The real paradox of Tom and the Orlandos is that they sound at once so old, so authentic, and so fresh. 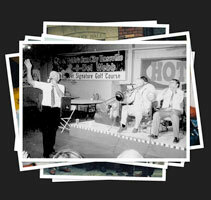 I am very sad to say that Tom passed away yesterday (January 3, 2007) a few days shy of his eighty first birthday. Tom was a true hero to many musicians for his convictions and pursuing an individual path. He always made music on his terms. He was a genius in many fields from clarinet playing to restoring vintage farm equipment. He was a dear friend and a true hero. Click on the CD to the left to pop open the page where you can hear audio samples and purchase the CD.